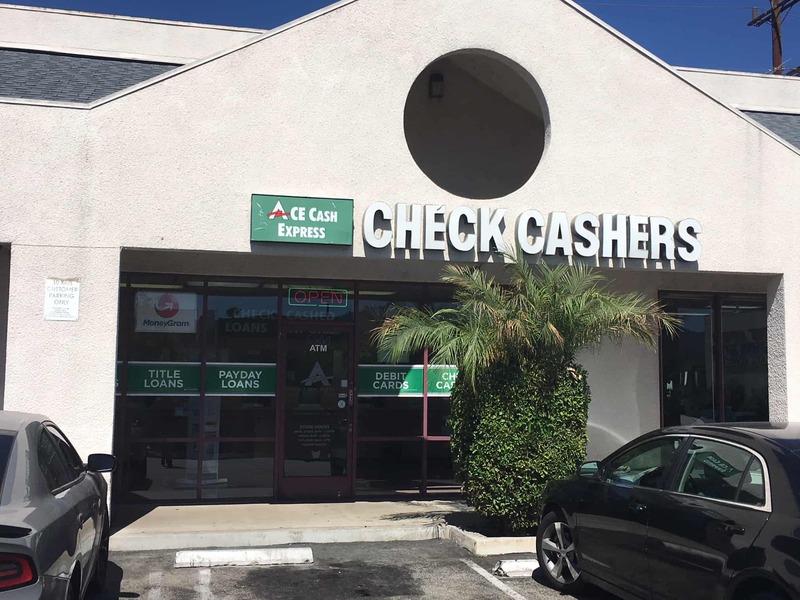 This ACE Cash Express location is located on San Fernando Rd. and Sonora Ave. in a small plaza with plenty of free parking. Bus lines #94, #183, and #794 of the Grandview Beeline stop directly in front of this ACE Cash Express location. Check their website for times and bus routes. Neighboring Ambrosia Baquet Hall, this location features eateries such as Subway, Sushi Joint, Pho Hot, and Angel Thai Cuisine within the area. Applying for an auto title loan powered by LoanMart in Grandview is easy, convenient, and hassle-free!1 Choose a method of contact below and get started on the process today! Call toll-free and an agent will assist you. Fill out the information request form above. Visit an ACE Cash Express location to apply in person. Upon approval, your helpful rep will converse with you about the auto title loan retrieval process and how to pick up your money at ACE Cash Express!